Home / News / Ben Carson’s name might get erased from Detroit high school. You already know the reason why. The name of Ben Carson — the U.S. secretary of Housing and Urban Development — may get erased from a prominent Detroit high school. Well, it seemed all was well and good when the Benjamin Carson High School of Science and Medicine was dedicated in 2011. 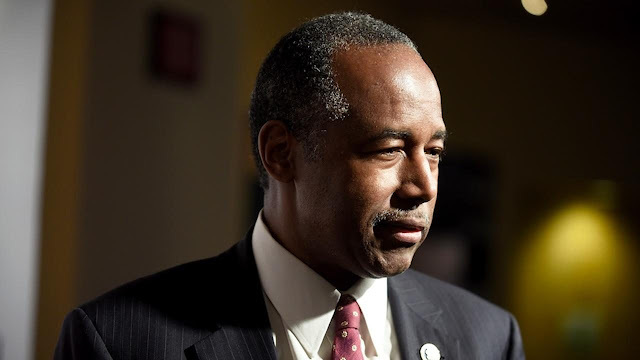 Carson, after all, was a graduate of the Detroit school district and went on to become a famous neurosurgeon. But Carson accepted a spot in President Donald Trump’s administration — and then things apparently were not so well and good anymore. The board voted 6-1 Tuesday to begin the process of renaming the school and several other district buildings, the paper said. Under the measure, the board can change a school’s name to honor “individuals who have made a significant contribution to the enhancement of education” and select another name if the current name no longer reflects the student population or if “information newly discovered about the current name of the school is negative in nature,” the News reported. But the name change isn’t imminent, the paper said, adding that the district will hold community meetings and complete surveys for each school site to determine interest in name changes and select possible new names. Lemmons added to the News that it likely won’t happen before the next academic school year. What is the Benjamin Carson High School of Science and Medicine all about? The school “provides a college-prep curriculum that offers unique experiences for students interested in science and medicine, including partnerships with the Detroit Medical Center, Michigan State University College of Osteopathic Medicine, Wayne State University School of Medicine and Henry Ford Health System,” its website said. Coursework is “very heavy in science and mathematics” and described as “rigorous,” uniforms are required, and “every student who enters the high school knows the expectations of staff, partners and parents is for them to complete college,” the site added. “The school aims to honor the contributions Dr. Carson has made not only to the global medical community, but also as a role model for Detroit students with aspirations and interests in science and medical fields,” the site also said.